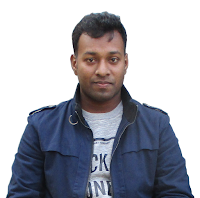 Disqus is one of the greatest effective and beautiful comment platform and easy to put comment, discuss, reply, upload image and video. You can make up vote and down vote etc. Most of websites or blogs are using Disqus as comment plugin. So to comment we should an account on Disqus. 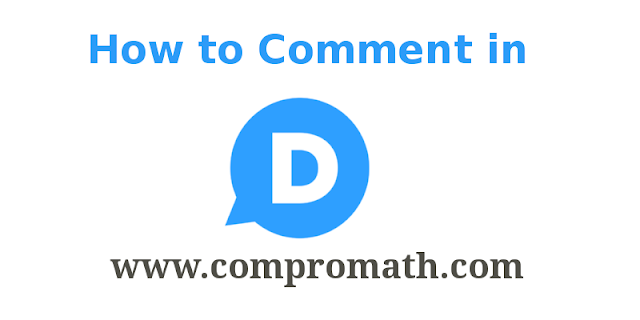 To comment on Disqus just follow the steps are given below. Step-2: After clicking you will see like below. If you have already an account on Disqus, log in (Log in With Disqus Icon) with email and password, otherwise you have to create account. Don't worry. It is very easy to make it. 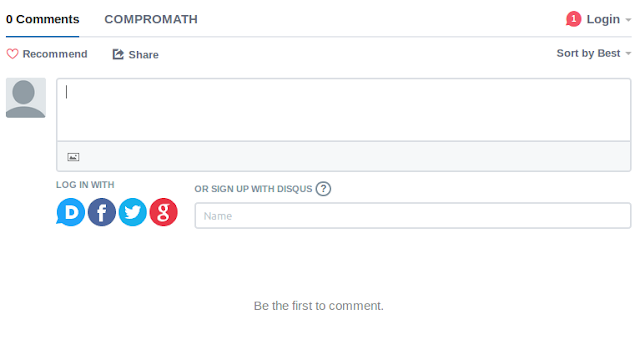 You can create account in Disqus with your Facebook, Twitter, Google Plus and Email instantly. With Facebook click 'Log in With Facebook Icon' and give any password (Not facebook) as below. And 'Sign Up' to finish. 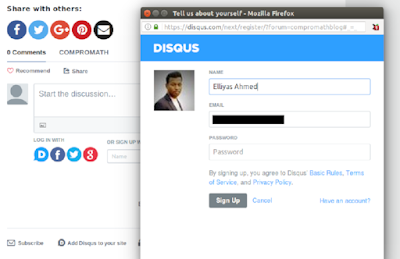 Similarly you can create account instantly in Disqus with Twitter, Google Plus and Email. and put your text and 'Post as.....' to comment. You can also put image by dragging on 'Discussion Box' or uploading manually. Isn't disqus less common at the moment? More people disabling blog comments nowadays. Thanks IENAMORAMIENTO for your comment. Disquss is now being used vastly. But it has some disadvantages too.